In 2010, it was estimated that eight million tons of plastic trash ended up in the sea—far more than the total measured floating on the surface in the ocean’s “garbage patches.” One report for the UN (conducted by London-based consultancy Trucost) into the activities of the world’s 3,000 biggest companies found that the estimated combined damage was worth US$2.2 trillion (£1.4tn) in 2008 – a figure bigger than the national economies of all but seven countries in the world that year. One famed sportswear company however has gone from making tentative steps to curb its waste (it was accused by Greenpeace of environmental pollution in the past) to great strides into up-cycling ocean plastic and (to some extent, thanks to the work of The Sea Shepards) poachers’ illegal gillnets to create a new, stylish concept; Eco-sneakers. 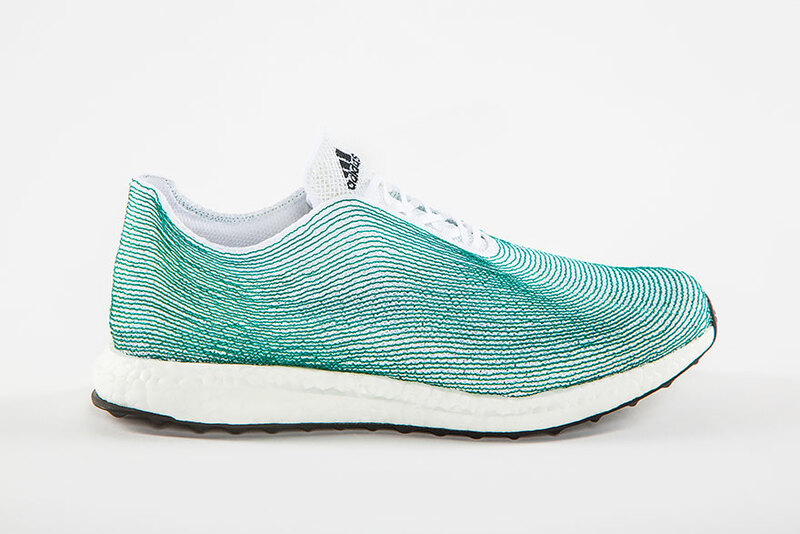 Through its new partnership with envirnomentalism organisation ‘Parley for the Oceans‘ (in which creators, thinkers and leaders come together to raise awareness of ocean pollution, and collaborate on projects to protect and conserve them), the concept shoe offers a first look at the kind of consumer-ready ocean plastic products that Adidas aims to reveal later this year. The sneakers’ uppers (which may or may not be produced widescale) are created with recycled plastics as well as actual green net fibers – a huge opportunity for those looking to specialise (or branch out) within the footwear and clothing markets.